Not a Fair Trade? Here’s one that nearly slipped under the radar…Scottrade, the discount brokerage service, is facing a data breach class action lawsuit filed by a woman in Florida who claims the personal and financial information of herself and potential millions of others has been compromised as a result of the breach. Filed by Angela Martin, individually and for all others similarly situated, the Scottrade lawsuit states Scottrade’s failure to protect and adopt adequate security, best practices and industry standards regarding data security and retention, has resulted in millions of customers’ sensitive personal and financial information being compromised. 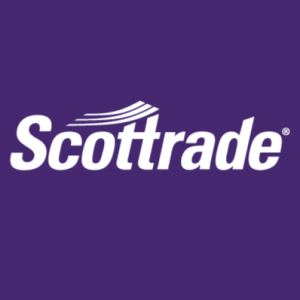 Further, the lawsuit states that Scottrade itself estimated nearly 4.6 million customers have been affected by the data breach. However, the company has only bgan notifying customers of the data breach in October, but its notice is deficient and fails to fully explain the nature and cause of the breach. The lawsuit claims breach of express and implied contract, violation of consumer fraud laws of multiple states, and negligence. The lawsuit is Tampa Division of the Middle District of Florida Case number 8:15-CV-02791-SCB-EAJ. General Motors being Generally Dishonest? Maybe just a little bit? Yes—according to a nationwide consumer fraud class action lawsuit filed in California federal court this week, alleging the auto maker promoted two types of pickup trucks that don’t live up to their advertised towing capacity. According to the GM pickup lawsuit, filed by Richard Quintero who drives a GMC Sierra, at the end of 2014 the auto maker alerted owners of 2014 GMC Sierra 1500 Series and Chevrolet Silverado 1500 pickup trucks across the country that GM had miscalculated the trucks’ towing capacities and that the actual amount they could tow was about 2,000 pounds less than advertised. “Had plaintiff and class members known the 2014 GMC Sierra’s and the 2014 Chevrolet Silverado’s actual towing capability at the time of purchase, and the safety hazard posed by towing loads in excess of a vehicle’s capacity, they would not have bought the class vehicles or would have paid much less for them,” Quintero states in the complaint. Quintero accuses GM of breach of express warranty, negligent misrepresentation and of violating California consumer protection laws and seeks to represent all owners and lessees of the two truck models. Quintero states in the complaint that he visited his local GMC dealership in California during the summer of 2013, originally intending to buy a 2013 Sierra. However, the complaint notes, after learning about the purportedly superior towing capacity of the 2014 model, Quintero purchased the newer, more expensive truck. The complaint notes that Quintero owned a 5,000 pound trailer, which he used to haul a 1,000 pound golf cart. But, after seeing GM advertisements that said his new truck could haul 8,800 pounds, he decided to upgrade and bought a new 6,700 pound trailer to haul the cart. After he bought the trailer, Quintero got the letter from GM telling him his truck could only pull 6,700 pounds, not enough capacity to tow the new trailer with the golf cart inside, the complaint states. The case is Quintero v. General Motors Company et al., case number 5:15-cv-02530, in the U.S. District Court for the Central District of California. They owe, they owe—it’s to the bank you go!!! Well, if the settlement deal is approved. A preliminary $11 million settlement has been reached between AlliedBarton and a class of workers who filed an employment lawsuit against the security services company alleging it failed to provide meal and rest breaks, to pay adequate wages and did provide inaccurate wage statements, in violation of California labor law. According to the terms of the AlliedBarton settlement, each of the three named plaintiffs would receive $30,000 in service payments. The approximately 43,893 non-exempt hourly employees who worked for AlliedBarton in California from April 2004 through January 2015 would share the net settlement amount on a prorated basis, based on the number of weeks they worked, according to the proposed deal. The lawsuit was filed by lead plaintiff Gregory Dynabursky in 2012 on behalf of thousands of security officers, alleging that AlliedBarton violated California labor and business laws by requiring guards to perform work duties during meal breaks. He also asserts that the workers had to sign a related on-duty meal period agreement. The case is Gregory Dynabursky et al. v. AlliedBarton Security Services LP et al., case number 8:12-cv-02210, in the U.S. District Court for the Central District of California. Spirit of Giving Gone too Far? In the season of giving, MasterCard was served with a consumer fraud class action lawsuit this week, and it’s all about giving baby! Yeah—charitable donations. Filed by a New Jersey man, the lawsuit claims the company continued to advertise a donation promotion after its donation goal had been met. Hmm. Filed by plaintiff Robert Doyle, individually and for all others similarly situated, the MasterCard lawsuit alleges breach of contract, breach of good faith and fair dealing, and violations of the District of Columbia Consumer Protection Procedures Act. 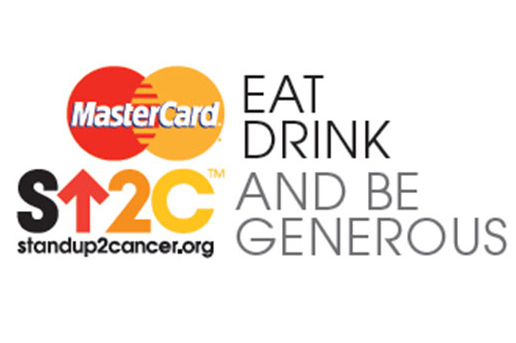 According to the lawsuit, every year since 2011 MasterCard has run a marketing promotion related to Entertainment Industry Foundation’s Stand Up To Cancer program, in which MasterCard advertises it will give one cent to the program for each credit or debit transaction made by a MasterCard cardholder. Under the terms of the program, a donation can only be made if the cardholders use a consumer or small-business card issued by a US financial institution, and the transaction is for a minimum of $10. Further, it must be made at a qualifying restaurant in the US. MasterCard advertised that it had a goal of reaching $4 million to be donated to the program. However, according to the suit, in 2012, 2013, 2014 and 2015, MasterCard continued to advertise the marketing promotion after it had reached and knowing it had reached its maximum donation goal. MasterCard would only announce it had reached its goal once it reached a scheduled end date, even though it knew it would meet its donation goal before that date, according to the complaint. Doyle and others in the class seek damages of more than $5 million, including punitive damages, injunctive relief, attorney fees, and costs of the lawsuit. The case number is 1:15-CV-09360-LTS, Southern District of New York. Covert Ops Barbie? This is creepy—no matter how you dice it. Barbie is violating children’s privacy—well actually—that would be Mattel. The toy maker got hit with a proposed privacy violations class action alleging its new interactive doll, “Hello Barbie”, violates children’s privacy laws by recording their conversations with the doll without proper consent. OMG. Where do you start? Or perhaps—where does it stop? According to the Hello Barbie lawsuit, named plaintiffs Ashley Archer-Hayes and Charity Johnson claim Mattel Inc. and interactive toy technology maker ToyTalk Inc. violate Children’s Online Privacy Protection Act by recording children’s voices during their conversations with the doll and storing them online without obtaining sufficient consent. The women also filed suit against kidSAFE, a seal-of-approval program that certified the doll as COPPA-compliant. According to court documents, in December of this year Archer-Hayes bought “Hello Barbie” for her daughter. She registered it online and downloaded a smartphone app that would allow her to listen to, review and delete recordings the Barbie doll transmits to ToyTalk’s servers. However, several days later her daughter and her friends, one of whom is Johnson’s daughter, played with the toy at a Barbie-themed party, which recorded the voices of other children whose parents hadn’t consented to its use. According to the proposed suit, four classes of plaintiffs are proposed, specifically: Californians who have purchased the dolls for their children; Californians whose children’s voices were recorded without their consent; and nationwide classes in similar circumstances. According to information on Mattel’s website, “Hello Barbie” is programmed with about 8,000 lines of kid-friendly dialogue, plays 20 games. The doll costs about $75. The doll records voices when kids press on its belt buckle and transmits them over Wi-Fi, the website says. The lawsuit suit alleges negligence, unjust enrichment, invasion of privacy and violations of California’s Unfair Competition Law, and it seeks unspecified damages. The case is Ashley Archer-Hayes et al. v. Toytalk Inc. et al., case number BC603467, in the Superior Court of the State of California, County of Los Angeles. It may just be cheaper to keep your promises…Blue Buffalo Pet Products has agreed to pony up $32 million as settlement of a consumer fraud class action litigation pending against it and its subsidiary Blue Buffalo Company, Ltd. The lawsuit alleges, among other things, that certain Blue Buffalo products were not consistent with the “True Blue Promise.” The class action lawsuits brought on behalf of consumers and consolidated in the Multi-District Litigation pending in the United States District Court for the Eastern District of Missouri. Under the terms of the Blue Buffalo agreement, Blue Buffalo will pay $32 million into a settlement fund to settle the claims of the plaintiff class. Any attorneys’ fees awarded by the court and all costs of notice and claims administration will be paid from the settlement fund. The amount that each class member who submits a claim for reimbursement will receive will depend on the total amount of Blue Buffalo products purchased by the claimant during the class period and certain other conditions. Blue Buffalo denies any wrongdoing, (naturally) and has agreed to this settlement to eliminate the uncertainties, burden and expense of further litigation. The settlement agreement is subject to preliminary and final approval by the court. Ok—that’s it for this week folks—see you at the bar! Specifically, the Ricola lawsuit claims unjust enrichment and violations of the Federal Food Drug & Cosmetic Act and New York’s Deceptive Acts or Practices Law, in addition to violations of similar laws in all 50 states. Well, that should about cover it. 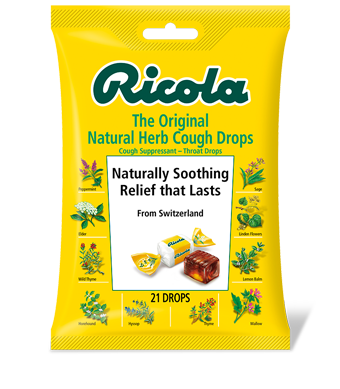 Filed by Timothy Minker of New York and Valerie Liu of California, the suit claims Ricola displays “Naturally Soothing Relief that Lasts” on the front packaging of its cough suppressant, supplement, and herb throat drop products and that this is deceptive because they contain ingredients synthetic ingredients, such as citric, ascorbic and malic acids. Doesn’t sound very good for you. Consequently, the complaint states, plaintiffs and others similarly situated were deceived when deciding to purchase these products for which they paid a premium price, believing them to be made entirely of naturally occurring or minimally processed ingredients with no added non-natural or synthetic ingredients. The plaintiffs and others in the class seek compensatory and punitive damages, prejudgment interest, restitution and all other equitable monetary relief, injunctive relief, and attorney fees and costs of the Ricola lawsuit. They are represented by attorney C.K. Lee of Lee Litigation Group in New York City. Target Data Breach Settlement… Looks like the banks are getting a pay day. Target Corp has reached a settlement agreement with a class of banks suing the discount retailer over the massive 2013 Target data breach. Remember that one? Hackers compromised over 40 million Target payment cards used during a three-week period over the 2013 holiday season, to boil it down to the bare bones. The settlement is the first class-wide data breach pact ever reached on behalf of financial institutions. Another record. Here’s the skinny, according to the Target settlement terms, Target will pay up to $20.25 million directly to settlement class members. This will also include costs for the notice and administration of the settlement. In addition, Target will make a $19.1 million payment to fund MasterCard’s Account Data Compromise program relating to the breach, according to court documents. Finally, Target has also yielded to forfeiting its right to challenge MasterCard’s assessment of breach liability. The settlement will apply to all US financial institutions that issued payment cards identified as having been at risk as a result of the data breach of more than 40 million payment cards used at Target in late 2013 and that did not previously release their claims against the retailer by signing onto separate deals with card brands Visa Inc. and MasterCard Inc.
A final approval hearing is expected to be held next year. The case is In re: Target Corp. Customer Data Security Breach Litigation, case number 0:14-md-02522, in the U.S. District Court for the District of Minnesota. Sushi Samba Settles… On a slightly smaller but equally important note, a preliminary $2.4 million settlement has been reached in an unpaid wage and overtime class action lawsuit pending against Sushi Samba restaurants. The Sushi Samba lawsuit was brought by workers in who claim the restaurant chain failed to pay them minimum wage, tips and overtime in violation of the Fair Labor Standards Act and New York Labor Law. The back story, the plaintiffs allege that Sushi Samba did not pay workers for all hours worked, did not pay overtime when the workers labored for more than 40 hours in a week and took money from a tip pool to give to sushi chefs who allegedly did not interact with customers. The plaintiffs, which include servers, bussers, runners, bartenders and hosts, assert that the tips were improperly garnished at six locations in New York City, Florida, Chicago and Las Vegas. Nice. According to the proposed terms of the tentative Sushi Samba settlement the named plaintiffs would receive $50,000 in service payments with the remaining funds divided between the putative class members on a prorated, weighed basis, with New York workers getting the largest share and Nevada workers getting the smallest. Lawyers fees would also be taken from the settlement sum. The class period would begin in May 2009 for New York workers and in May 2012 for the other workers, with the period ending when the settlement receives final approval, documents state. Heads up—the complaint filed on October 21, only included claims for New York state labor law violations. Therefore, putative class members who worked in Florida, Illinois or Nevada locations who opt in to the settlement would agree to not file similar labor law violation claims in those states, according to the memorandum. The case is Hadel et al. v. Gaucho LLC et al., case number 1:15-cv-03706, in the U.S. District Court for the Southern District of New York. Ok—that’s it for this week folks –See you at the bar!